HomeBusinessHow Important Are Analytics In The Success Of Your Business? For many decades, business owners and entrepreneurs relied on data processed in volume to “see the bigger picture” of their business operations. The use of quantitative analysis for business cannot be understated. The importance of creating the bigger picture by collecting intuitive, day-to-day data on customers, business transactions and business accounting forms the basis of continued success in business, customer retention and stable and increasing revenues. Business owners formerly managed quantitative analysis manually. This was time consuming and required excellent mathematical, financial and analytical skills. Originally, analytical modeling was the basis of data collection that formed an accurate assessment of the specific operations of business. Today, most of the data collection is done by computers and software applications that require business data input to form analytical models and process business data into formative structures useful to predict outcomes based on relevant facts and figures specific to each business. The best examples of quantitative analysis for business are used for business investments. By measuring and calculating market trends, it is possible to predict potential outcomes of investment activities over a particular period of time. It should be noted that quantitative analysis may also be combined with qualitative analysis for sales and marketing perspectives. Many business owners rely on a combination of analytics to reveal their product and/or service strengths and weaknesses. For instance, a business owner may want to create a clearer picture of target markets to enhance their sales. In businesses that are data driven, the size of the business determines the size of the data collection for quantitative and qualitative analysis. Large corporations collect “Big Data” in high volumes in order to capture the truest picture of customers, sales, marketing and financial trends. The goal of big data analysis is to achieve quantitative results that can be measured across a broader spectrum. As with most business essentials, collection, sorting and measuring of analytical data should be the domain of chief information or chief data officers. In that way, business data specificity can be validated exponentially. However, analytics are not dependent on business size. Thus, small businesses can take full advantage of quantitative analysis in the same way a large corporation relies on this business method. For a small business owner, time, productivity and goal orientation can become part of the structure of quantitative analysis. A small business with a staff of three may rely on data collected regarding timeliness of sales or productivity of personnel as it relates to achieving business goals. Place collected data into an analytical model over several fiscal periods. The analytical model will provide a clearer picture of the span of time between initial customer contact and closing of sales. It will also be an indication of the relativity between target markets with greater sales and products and/or services. This is just one method of using quantitative analysis. Conclusion – How Important are Analytics in the Success of Your Business? When you collect data with the purpose of analyzing business operations, over time, analytics help business owners see trends that were strongest and those that were weakest. The reality of today’s businesses is evolution in technology and marketing developments in real time. Few business owners dare ignore the impact of these factors. 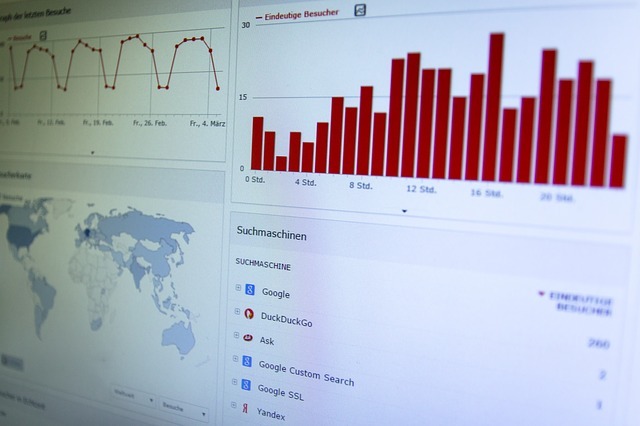 Analytics help solidify the success of your business by helping you to avoid pitfalls caused by new or adverse developments and trends that are beyond a business owner’s control.